The state is going to witness all the thrill and excitement of the fierce battle between various political parties. As soon as the election commission declared the dates for the upcoming lok sabha election, various political parties started discussing about the names of candidates who could give a strong fight for the opponents. With more than two crore electorates in the state, the state election commission has announced the details of the 2014 parliament election. According to the information provided by the election commission, there are 2,37,92,270 voters in the state with 1,23,49,345 of then are women and 1,14,42,925 are men. According to the procedure, the last date for filing of nominations is 22nd March 2014 while the scrutiny would take place on 24th March 24. Those who wish to withdraw the nomination can do it before 26th March. The election for the 20 Lok Sabha constituencies would take place on 10th April and the voting will take place on 16th May along with the rest of the country. Those who wish to add their names in the voters list can do it either online or through the respective taluka office by 9th March. There will be 11,895 polling locations with 21,424 polling booths set in the state. 1.5 polling officials would be employed for the smooth running of the election. The state election commission has taken all steps to issue the photo electoral identity cards to all those who are eligible to vote in the upcoming election. The 16th Lok Sabha election will also be test time for the ruling UDF which had been facing problems from inside. On the other side, it would be a test dose for the LDF and its lead partner the CPI (M) as it is the first major election after the T.P. Chandrasekharan murder. BJP also is on the race to win seats while the Aam Aadmi Party too is trying their luck in the election. For the first time, the voters can use the None Of The Above (NOTA) option. Regarding the candidates, the CPI(M) has announced the candidateship of veteran actor Innocent who would contest the election from his home constituency Chalakkudy while the senior Congress leader Peelipose Thomas would seek votes at Pathanamthitta. Christie Fernandes, a retired IAS officer is under active consideration of the LDF for the Ernakulam seat. Aam Aadmi Party (AAP) has announced writer and activist Sara Joseph in Thrissur and former IPS officer Ajit Joy in Thiruvananthapuram. The live updates of 2014 Lok Sabha Parliament Elections from the 20 constituencies of Kerala will be available online. 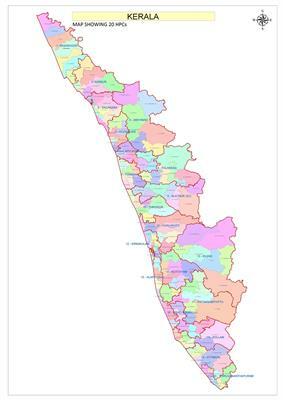 All live election news, Vote polling percentage of Kasaragod, Vadakara, Kozhikode, Wayanad, Malappuram, Ponnani, Palakkad, Alathur, Thrissur, Chalakudy, Ernakuam, Idukki, Kottayam, Alappuzha, Pathanamthitta, Mavelikara, Kollam, Attingal and Thiruvananthapuram constituencies will be both webcasted and telecasted. Read the article to get the Live streaming links.